There is a reason we say the kitchen is the heart of the home! It is almost always the central and most important gathering space in a home, and so most people focus their design and remodel efforts there when renovating. 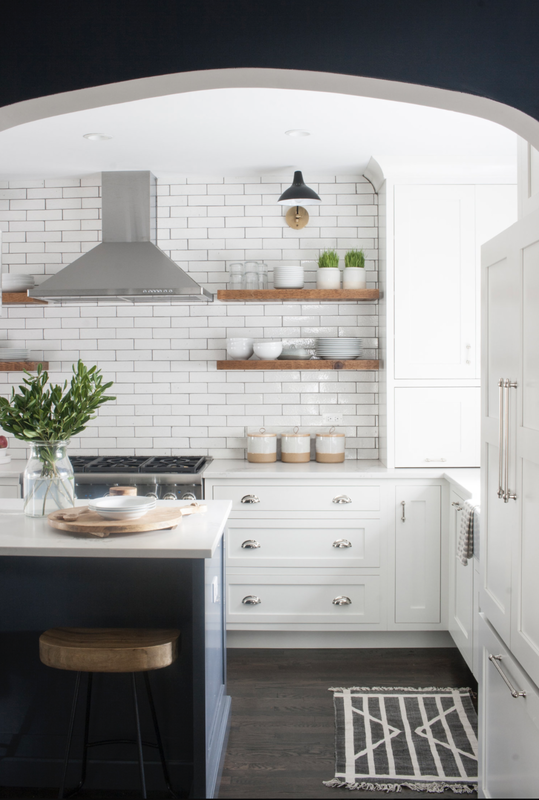 This past year, Houzz reported that 87 percent of homeowners decided to update their kitchen in some way. If you’ll be following suit this year, here are the top 2018 design trends to consider. Whether it be for your own enjoyment or to entice potential buyers if you decide to list your home for sale, homeowners and potential homeowners want kitchen spaces that facilitate easy functionality, cooking, entertaining and cleaning. 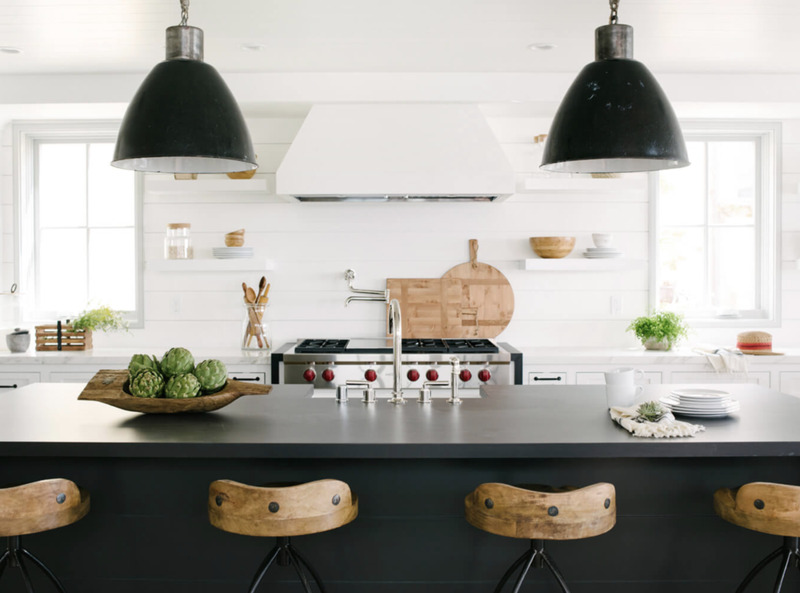 Streamlined simplicity is competing head-to-head with Shaker-style looks in kitchens. No-frills kitchen designs that include flat panelled cabinets with minimal embellishments and clutter-free countertops will be a sought-after look for 2018. Rather than pendant lighting, also amplifies streamlined simplicity. Bright whites in warmer tones (eg. Dovetail White by Benjamin Moore) with a pop of beige continue to be popular. Also consider adding “pop” with black, deep navy and/or forest green cabinetry for richer, bolder looks. 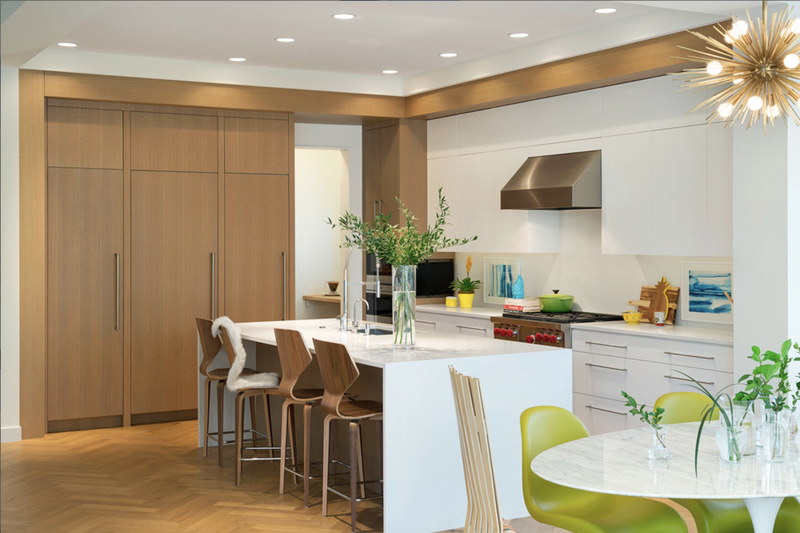 Encourage interaction and entertainment by banishing walls and incorporating the kitchen into the rest of your home. Hardwood floors will never go out of style, it helps unite rooms in an open floor plan. However, porcelain planks that look like wood provide the same inviting style but are easier to maintain. Spend less time sealing and scrubbing in 2018. Quartz-surfacing countertops require less upkeep than their granite counter-parts and offer timeless appeal. Provides an illusion of space while also being great for displaying glasses and kitchen wares. Brushed brass accents on hardware and accessories offer “pop” without disturbing simple lines.